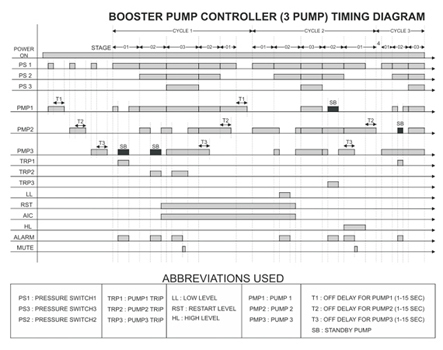 Sequencing of Booster Pumps according to the pressure switch, duty cycle is a necessity in a Booster Pump Control System. 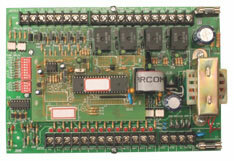 Minilec Booster Pump Controller Card fulfils all the requirements of a Booster Pump Control Panel. Suitable for 2 / 3 Pumps or 4 /5 Pumps. 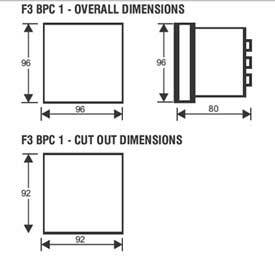 F3 BPC1 is suitable for 2/3 pumps, operates on 90-270 V AC/DC supply and has RS 485 output port. 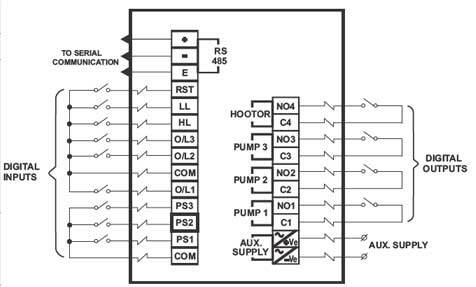 2 Relay outputs for 2 Pumps System OR 3 relay outputs for 3 pumps System and respectively for 4 & 5 pumps systems. The key of the Booster Pumps is the Pressure Switches, which are preset according to the different pressure levels in the Pressure Tank. The water pressure in the Pressure Tank is to be maintained so that the consumers get constant pressure irrespective of the variations in the demand. 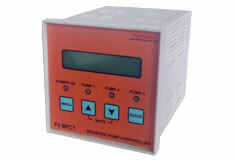 As the user demand increases the respective Pressure switches activate & Booster Pumps are switched ON sequentially. *Pumps are switched off Sequentially as per decrease in demand. 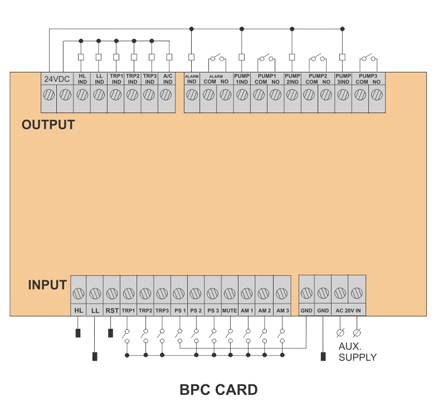 Role of Stand-by pump is rotated in each next cycle to ensure equal running of all pumps.